That’s marketing. You set aside a budget or sacrifice time in the hopes of retaining and securing more new patients. In the past, this meant buying a yellow page listing. Or spending time and money to design and distribute a postcard. Today, marketing is much different. 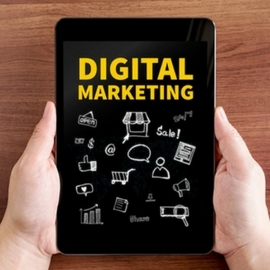 Digital marketing is less expensive and can offer a much greater return than traditional forms of advertising. 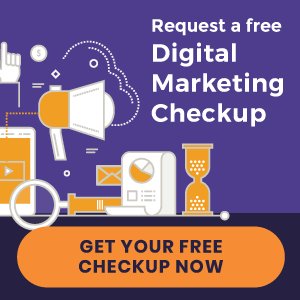 Below you’ll learn about five chiropractic digital marketing investments that won’t just help you get and keep more patients, but can do so in cost effective way. Every online marketing strategy leads back to your website. Your social media, online advertising, and other initiatives feed to this location. That’s why it’s your most important digital marketing investment. Cost: It’s somewhere between “free” and tens of thousands of dollars. Quite a range. You could sign up with a free website builder and pay as little as $10 per month for hosting. But there’s a catch. Rarely will a free website produce new patients. And on the other end of the spectrum, a $20,000 website designed by a freelance graphic designer to be a piece of digital “art” is just that – art. If it isn’t designed to convert new patients, you’re not likely to get a return on your investment. When looking at the cost of a new website, consider the new patient revenue you will accrue from that investment and the experience of your website provider in producing new patients for chiropractors. Ad networks like Google AdWords and Facebook Ads are replacing many forms of traditional advertising. After all, where do prospective patients go to find a chiropractor? Typically, they turn to Google. Or they see an online ad that leads them to a chiropractor’s website. Most of these ads are based on a pay-per-click (PPC) model. 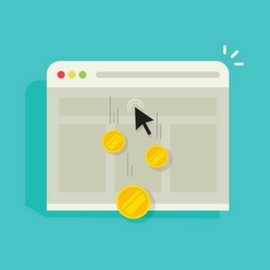 Meaning, you pay a small fee any time someone clicks on your ad. 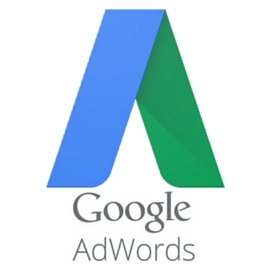 For Google AdWords, you might pay a few dollars for a qualified click; for Facebook Ads, you can pay as little as a dime for a less qualified click. PPC advertising is a good way to turn $10 into $100. Or, if you want to go big, turn $1,000 into $10,000. Cost: $0.10 per click – $20.00+ per click depending on network and competition. Yes, email is still a relevant marketing channel. And it’s one of the most cost-effective ones to boot. Email marketing drives more website traffic, more social activity, and more patient appointments – at a minimal cost. You can even use free email services like Mailchimp. These services, however, have limitations. For instance, they lack the automation features that keep patients opening and clicking your emails. Automation is what makes email marketing so profitable. Not only does it save you time, it allows you to personalize your campaigns. New patient survey emails that encourage five-star reviews. Birthday greetings that let patients know you are thinking about them. Cost: Depending on email service, it could be free, part of your monthly website subscription fee, or an additional fee for a third party email provider. Learn more about email marketing in our new eBook, “The Chiropractors Guide to Email Marketing”. 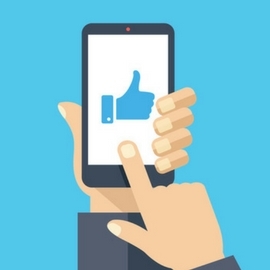 When it comes to online marketing, social media is often the first place chiropractors turn. After all, it doesn’t take much to create a Facebook Business page and start posting content. Now, it’s common for chiropractors to abandon the effort after only a few weeks. Why? Because they soon find out that Facebook isn’t a primary driver of new patient growth. Rather, it’s a way to cultivate patient community – which, in turn, fills appointments through repeat office visits and patient referrals. The reasons so many chiropractors hop onto the social media bandwagon are that it’s free and it’s something they can handle themselves (or their office staff can). However, posting your latest special here and there won’t captivate your audience. Interesting, visual content that piques the interest of patients is imperative. And while posting on Facebook is free, you can pay a low fee to “boost” your posts. This allows you to reach all of your followers (organic reach has declined significantly in recent years), or get your post in front of prospective patients who have yet to hear about you. If you are unable to post content on a consistent basis, you might consider hiring a social media service. These services are relatively inexpensive and they can provide the resources to build an active social following. Cost: Free to post; nominal fee to “boost” posts for greater exposure. Blogging is a great online marketing tool to engage existing patients and nurture prospective patients. It’s a portal of information for people seeking a health care solution. If someone is suffering from back pain, they’ll likely research the Internet. Your goal is to be the source of that research. And blogging is the best way to become that source. Boosts credibility by showcasing your knowledge about natural health. Improves your SEO by getting more pages indexed into the search engines. Reinforces patient relationships by providing free chiropractic education. Allows you to express your philosophies of chiropractic care in a conversational tone. Gives you a forum to post timely information, such as offers, events, and new developments in your practice. Cost: Similar to social media, blogging is free and you can manage it yourself. The word, “free,” of course comes with an asterisk. After all, time is money. So how much are you willing to pay for a new patient? With these digital marketing strategies, the number of new patients can far outweigh the cost to activate them. Now, every marketing strategy requires a roadmap. If you have experience in these areas, start building a framework for success. When laying out your budget, keep your case fee in mind – that is, how much the typical patient spends with you and how much of that is profit. Knowing this helps you make intelligent decisions about how to allocate your marketing budget. Remember, marketing isn’t a cost. It’s an investment to grow your practice. If you don’t have experience in digital marketing, you might consider hiring a third party vendor. You can hire multiple vendors for different services or hire a digital marketing service that runs all your campaigns. Either way, take some time before making a decision. When you come across a prospective provider, be sure to ask the right questions.